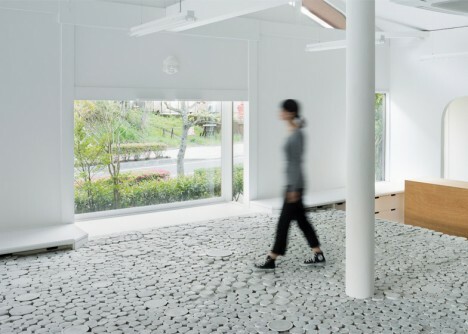 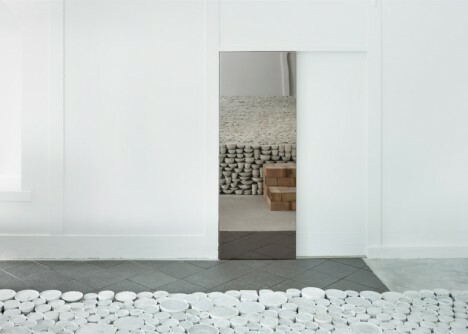 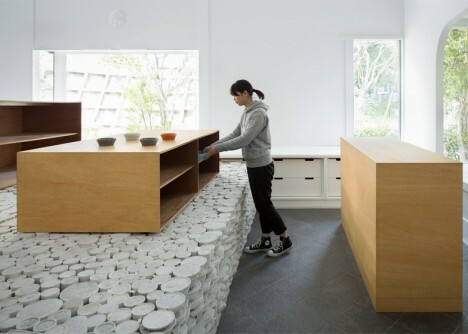 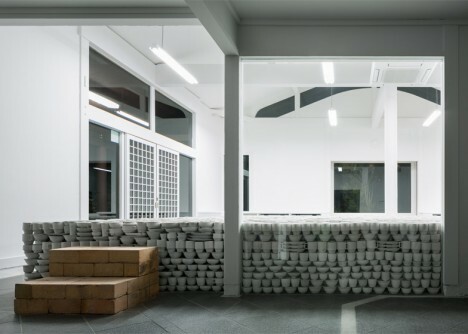 A 400-year-old ceramics studio in Japan has completely remodeled their store with a most remarkable addition: a walkable surface constructed from a stack of tens of thousands of scrapped pieces of crockery. 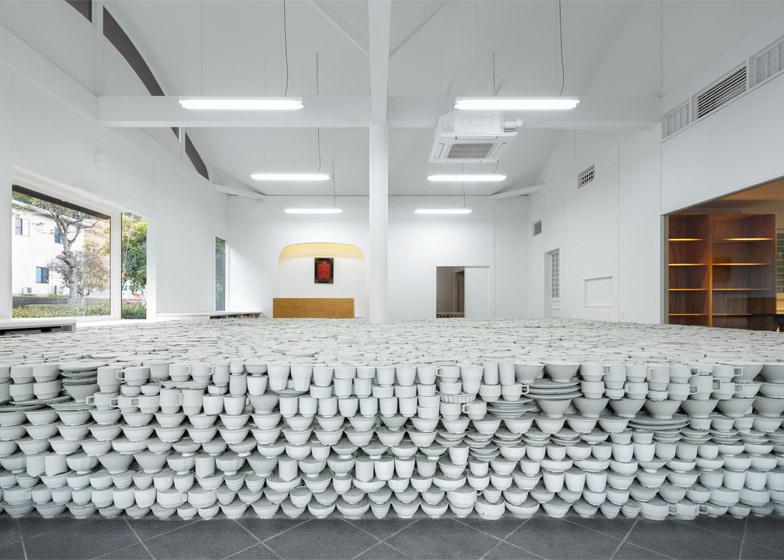 Yusuke Seki (photos by Takumi Ota) collected plates, saucers, bowls and cups for this creative endeavor, all to create a display platform for Maruhiro Ceramics in Hasami, Nagasaki. 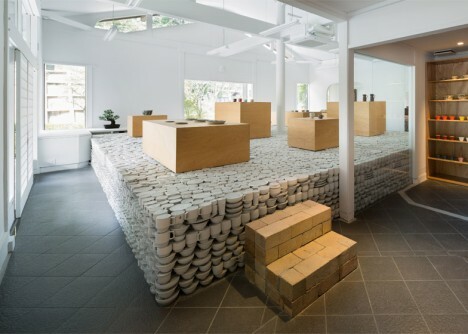 To facilitate a more intimate experience, a pair of stairs is placed by the display platform, allowing visitors to walk up and peruse wares, all while enjoying a sense of wonder from the layers of history right beneath their feet. 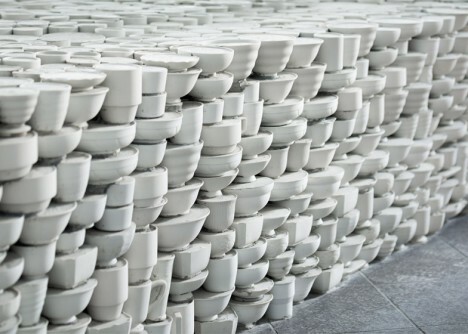 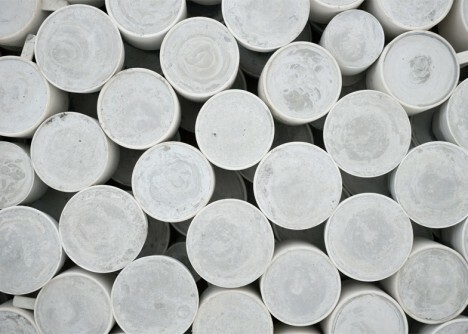 Traditionally, flawed ceramics are simply thrown into dedicated landfills, while this rethought application brings pieces of history back up to the surface. 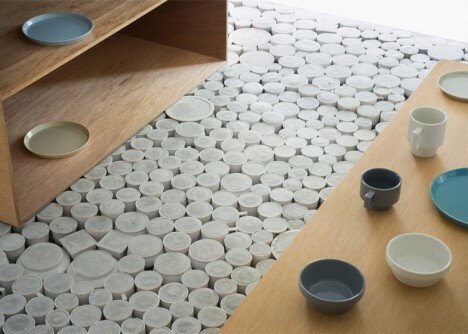 Since the discards are eliminated before the coloring and glazing process, there is an aesthetic consistency to the materials reused in this creative context. 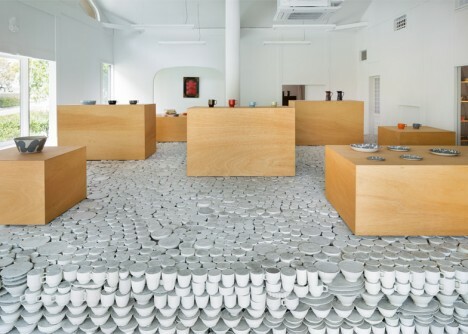 Individually fragile, the tableware was turned into modular bricks by being filled with concrete, but their individual shapes and sizes still made this a daunting endeavor to actually deploy. 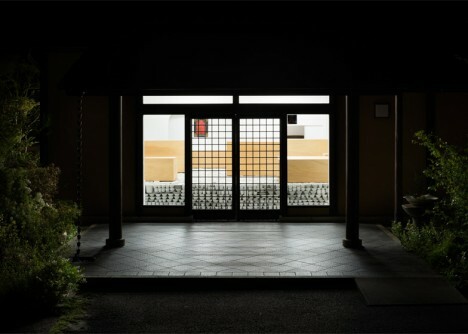 Still, the result is compelling and interactive – not so much of a crackpot idea after all, as it turns out.